a hands-on workshop with the industry’s top thought leaders! Get on the waitlist to find out when the next IMPACT PMO Workshop is happening! Learn why creating a business-driven PMO will skyrocket your PMO success. Understand why and how world-class organizations put the portfolio first in their planning process. Learn how to streamline the discovery and management of project information to drive better decision-making. Learn the industry-leading techniques to dramatically accelerate the delivery of the project portfolio. Learn a thoughtful approach to blending Agile and the PMO to deliver higher organizational value. Leave with a thoughtful, personalized, and bulletproof PMO IMPACT Delivery Plan to immediately apply the guidance from the workshop. Roll up your sleeves and work on your specific PMO improvements with our experts. Who we are, what to expect, how to get the most out of the day. Do executives know the purpose and value of their PMO? Do business unit managers think they need a PMO? Do agile practitioners even want a PMO? For most organizations, the answer to all three of these questions is no. And, according to research conducted by the presenter, 9 out of 10 PMOs are not business driven in their initial setup, 5 out of 10 PMOs experience three distinct churns and changes in the PMO approach before becoming business driven, and 3 out of 10 PMOs never become business driven and are either shut down or are continued on as a low value, staff function. This session will present research and insights that reveal why so many PMOs are not business driven and often fail as well as the critical foundational building blocks of the Business Driven PMO that ensure the success of the PMO and the delivery of value to the leadership team. Outcome – Understanding that portfolios should not be viewed as a consolidation of projects and programs but as a vehicle to achieve an organization’s strategic goals. Recognizing the importance of the PMO in building an effective portfolio. This will be a planning activity where participants can identify the variables that contribute to goals, project selection and updated plans. Participants will walk away with a completed template of the issues that need to be considered in setting goals, defining the project mix in the initial portfolio and then updating portfolio plans. 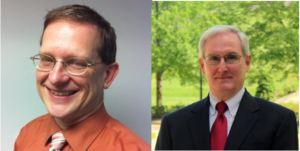 In this session, John and Dave will share with us the key characteristics of Project Management 2.0 and explain why PM 2.0 has emerged in response to the deficiencies of traditional project management. This session will emphasize the project manager’s emerging role in strategic planning and project leadership and discuss how to achieve more meaningful information with KPIs, metrics, and dashboards. John will also share with us the current state of PM 2.0 adoption, provide recommendations on how to get started and explain how PM 2.0 can reduce project costs and ensure delivered business value. PMO leaders are typically challenged with balancing scarce resources across a multitude of organizational priorities, and with ensuring that those resources stay fully utilized. The pressure to start new initiatives the moment any resources become available is high; however, succumbing to this pressure ensures a low-performing portfolio with painfully slow delivery. So, what are PMO leaders to do? This session will offer a “win-win” approach for delivering on the ever-growing appetite for more initiatives, within organizational resource constraints. Outcome or “A-Ha Realization”: By choosing to see a project portfolio as a flowing system—and not just as a collection of initiatives—we can begin to apply flow-maximization principles to accelerate the delivery of desired results. Even better, these principles are simple in concept, and proven to generate dramatic jumps in portfolio performance. Start less to finish more. By establishing a single, prioritized list of projects—and then putting the bottom 30-50 percent of that list on hold—you can likely double your project completion rate. Stagger according to the constraint. By timing the start of any new project to the capacity of your portfolio’s single-biggest resource constraint, you can push your completion rate even higher. Now that agile methods are here to stay, executives are looking to PMO leaders for answers to fundamental questions: How can our organization become more agile? What outcomes can we expect to get from Agile methods? Even more puzzling is the impact to our own jobs: If agile methods encourage self-organizing teams, what does that mean for the role of a PMO, or even our project managers itself? In this eye-opening session, we will sift out fact from fiction and walk away with actionable tips for evolving your PMO to support agile methods. Create your IMPACT Delivery road map that addresses the likely hurdles that will come your way as you take what you’ve learned and apply it to your PMO. Gain the confidence to have the crucial conversations back at the office to make this plan a reality. The mindset shifts we must put in place to elevate our own PMO leadership thereby preparing us to effectively implement these improvements learned throughout the day. The way to implement these capability and operational improvements for your PMO in a reasonable way that ensures success. How to address the inevitable change resistance and garner the right executive support to make these changes stick. 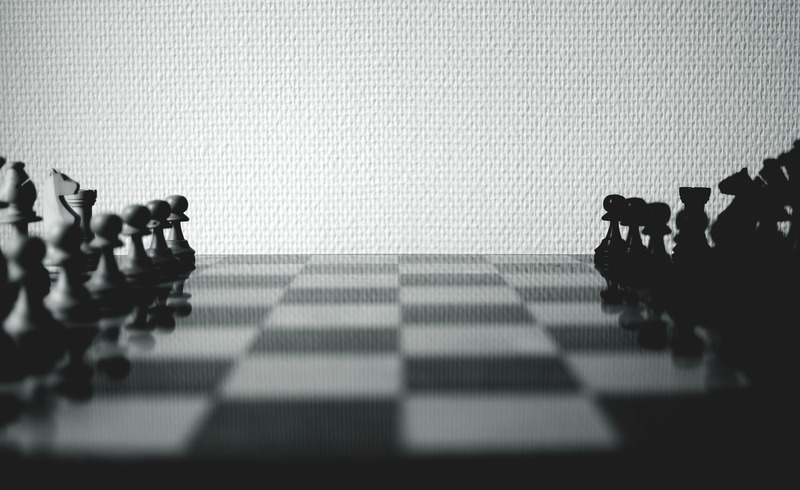 After exploring the “gotcha” areas and the possible “yeah buts” you will face back at the office, we will work together to develop a plan for addressing those roadblocks to implementing your new PMO directives. We will also develop a reasonable IMPACT Delivery Road Map that will help you put a realistic plan in place for delivering the new capabilities to help make your PMO the kind of organization that your business leaders are craving (and will fully support)! Dive deeper in a small group format with the instructor and topic that is most important to your PMO success. Using the Open Space approach, Sit in a Circle – Put up a Bulletin Board – and Get to Work, attendees will self-determine key PMO issues and opportunities from which to share experiences, exchange techniques, and seek out the best approaches for ensuring PMO success and avoiding PMO pitfalls. The unique format of Open Space provides for the wealth of domain knowledge from the instructors and deep experience from the attendees to be harnessed in a set of useful and actionable take-aways. All attendees will receive a free ONE YEAR PREMIUM MEMBERSHIP to The Great IT Professional. This membership program gives PMO leaders INSTANT ACCESS to over 1000 hours of educational lectures covering all aspects of the IT and project management spectrum, including many specifically on the PMO and portfolio management! The speakers – over 200 of the world’s leading consultants, including many of the leaders teaching this workshop – have been carefully chosen for their expertise and communication skills and their library is updated weekly with new lectures and new subject areas. All content on “The Great IT Professional” is approved with Category A PDUs by the Project Management Institute and is aligned to the Talent Triangle. With your premium membership to “The Great IT Professional”, you will have unlimited FREE PDUs from an on-demand, online system. You can view their entire catalog of offerings at www.greatpro.org. All attendees will receive 1 year of the PMO Strategies Inner Circle Membership program for PMO leaders. Inside the membership, you will find targeted PMO and PPM resources to help you with all aspects of your PMO setup and managing projects and project portfolios. The resources in this membership will help you whether this is your first or tenth PMO and help you mature your organizational project management capability in a sustainable way. Hoping to get your company to pay for this? Download this flyer to help you make the case. Laura has been helping business leaders get the results they crave using the power of project management for the last 24 years. 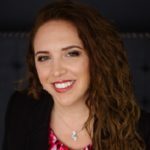 She spent 15 of those years as a PMO leader on the inside and the last 5 helping businesses accelerate their growth through her consulting practice. She runs several training and membership programs to help you grow your PM and PMO competency with a deliberate focus on driving high-IMPACT outcomes on every project. She shares her insights and stories in her blog titled, “I wish I had me when I was you… ” where she is shaking up the way the industry thinks about the PMO role in driving strategy realization. Laura welcomes you to join her community of IMPACT Drivers. You can learn more at PMOStrategies.com. Jesse Fewell is an author, coach, and trainer who helps senior leaders from Boston to Bangalore transform their teams and organizations. 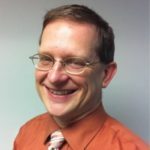 As a project management pioneer, he founded the original PMI Agile Community of Practice, co-created the PMI-ACP® agile certification, and co-authored the Agile Practice Guide®. 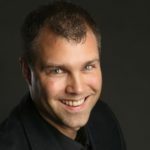 A global entrepreneur and the founder of VirtuallyAgile.com, he has distilled his experiences in the handbook “Can You Hear Me Now: Working with Global, Distributed, Virtual Teams”. A graduate of Johns Hopkins University, he is a double-certified leadership coach and an accredited instructor with four distinct agile certification bodies. Mike Hannan is the founder of Fortezza Consulting and innovator of industry-leading techniques to drive unprecedented improvements in project portfolio performance. 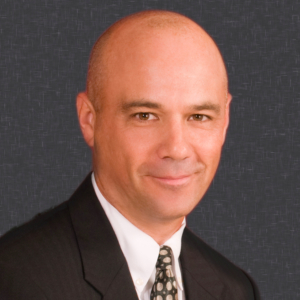 He is also lead author of the best-selling 2014 book, The CIO’s Guide to Breakthrough Project Portfolio Performance. In his spare time, Mike serves as CEO of the nonprofit Project Management for Change—organizer of the “PM Day of Service,” the largest PM pro-bono event in the history of humankind. On the personal side, Mike is a national champion track & field athlete, a happily married father of three upstanding college-age men, and an amateur oenophile. President of Roffensian Consulting S.A.
Andy Jordan is President of Roffensian Consulting S.A., a Roatan, Honduras based management consulting firm with a strong emphasis on organizational transformation, portfolio management, and PMOs. Andy has a track record of success managing business critical projects, programs and portfolios in Europe and North America in industries as diverse as investment banking, software development, call centers, telecommunications and corporate education. 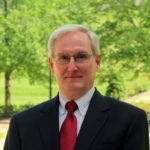 As a result of his work with PMOs, experiences leading or being served by a PMO, and research conducted in support of his published works, Mark Price Perry pioneered the concept of the Business Driven PMO. 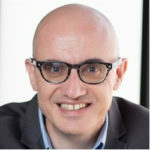 Often characterized as a “boat-rocker” and outspoken critic, Mark challenges the traditional approach to PMO setup and management that has been advocated and practiced within the industry and that has led to PMO failures and loss of executive support. Mark offers an alternative approach to PMO setup and management, an approach driven by specific needs of the business as determined by the leadership team, not industry standards or the latest PMO models, buzzwords and hype. Mark is the author of the Business Driven PMO three-book series, published by J. Ross Publishing. 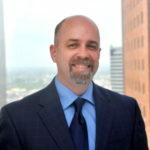 John is also president of Management Envision LLC, a research and consulting company focused on innovative presentation of complex issues in process, portfolio, project and program management. He provides management consulting services to IT organizations in global expansion and manages projects in the US, Latin America, and Europe. Before joining CAI, John served for ten years as CIO of PPL Global, the international division of PPL Corporation. In that role, he was responsible for IT management and operations in Latin America and lived for several years in Argentina and Chile. He has managed multi-national projects involving teams in more than 25 countries. He authored an acclaimed project management methodology and established project management offices (PMOs) in multiple companies in the US and Latin America. John’s industry knowledge spans power generation, energy distribution, telecommunications, higher education, software development and healthcare. Dave is the Executive Director for “Advanced Management Insight”, the first Strategic Project Intelligence solution combining human and project data into a real-world status and risk identification engine. Dave is a graduate of Muhlenberg College with degrees in mathematics and Computer Science. 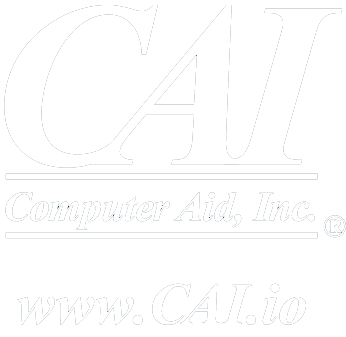 After working for a year in mainframe operations he began his IT career with Computer Aid, Inc. (CAI) in 1985 as a programmer developing software for automotive dealership management, apparel, and steel processing industries. He then moved into project management and ultimately managed some of the largest most complex projects CAI has ever known. In The later 90s Dave held Senior Executive technology positions that included IT management, onshore and offshore solutions center management, and director of quality and process. Dave’s 34 years of experience has enabled him to lead complex, challenging IT initiatives for over 65 industry-leading firms government agencies, and Fortune 500 client companies. He specializes in the design, development, and launch of technology solutions and processes.